Campfire foil cooking is a fun, easy way to enjoy a campfire meal. 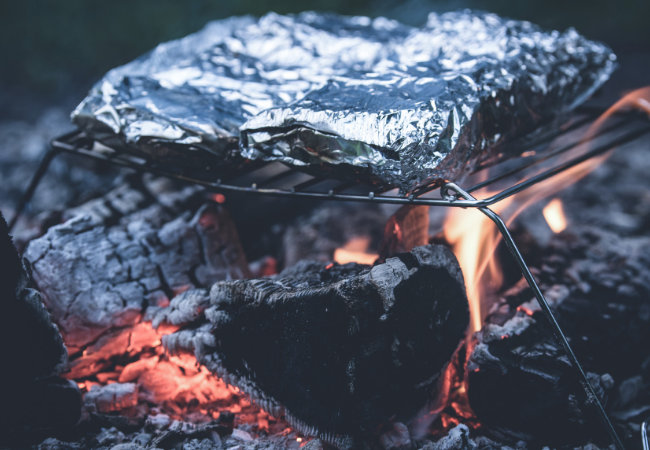 Whether you're out enjoying one of the nations beautiful parks or simply relaxing next to a backyard fire, cooking a meal with foil is a popular way to cook almost anything. One of the best things about foil cooking is the clean up....or lack of it. No messy pots to wash or pans to scrub. Simply throw the tinfoil away and you're done! Plus any mess you create while preparing or eating your food stays outside and doesn't end up on your kitchen floor. Cooking with foil is easy as long as you follow a few basic rules. 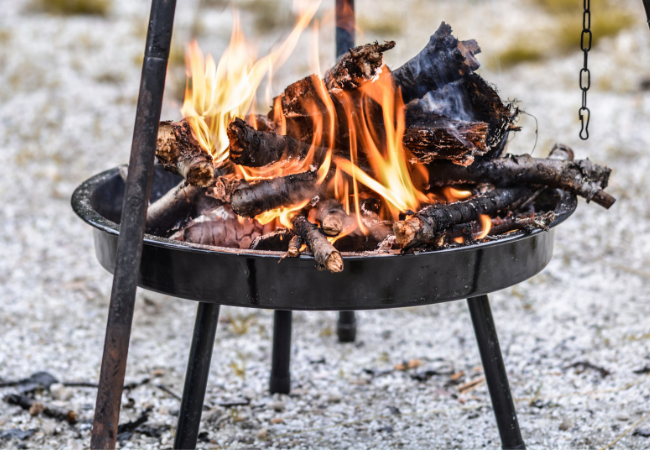 By following these basic rules, you'll be cooking campfire meals that are only limited by your imagination. Use heavy duty aluminum foil. I have used regular alumium foil before but you have to double up and use two layers of foil. This is important because the thinner foil will tear easily, exposing your food to wood and ashes or even worse, loosing an entire meal inside the campfire. Use a piece of foil that's big enough to fold over your food creating a pouch. Roll up the excess foil on the ends to create a tight seal. Spray the inside surface of the foil with cooking spray or simply use oil or butter to prevent the food from sticking. Cooking time is not an exact science. The type of food you are cooking and its placement over the fire will dictate how long the meal will take. Meats that are not pre cooked will take the longest. Place raw meats on the bottom of the foil and then layer vegetables on top if you're going to cook them both in the same packet. This will place the meat closest to the coals which is the hottest part of the fire. Basically, the cooking time depends on how hot your fire is and what you're cooking. The same general cooking times apply here as in the kitchen. Potatoes take longer than peas, etc. Don't place your foil packets directly into the flames. Let the fire burn down and form a nice even bed of coals. 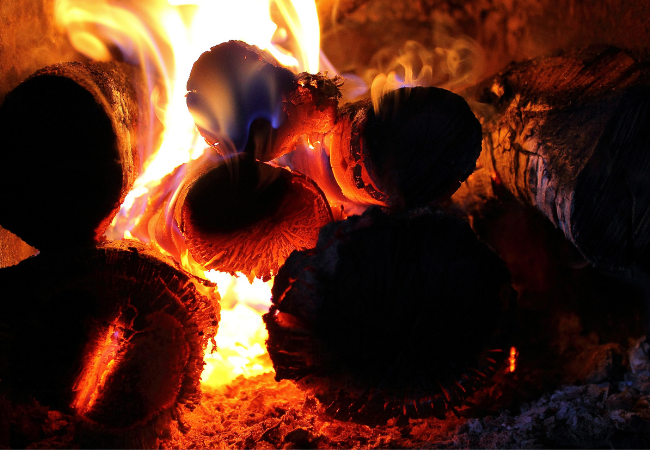 Once you have a nice coal base, place your packet or packets on the hot coals and wait. Depending on what you're cooking you might want to flip the packets half way through to make sure the food is evenly cooked. That's it! Once you have determined your food is done go ahead and enjoy!! Campfire foil cooking is a great way to enjoy a delicious meal over an open fire. Baked or diced potatoes, corn on the cob and even lemon pepper fish tastes great when cooked with foil. You can also make up your meals ahead of time and place them in a cooler to take along with you on camping trips. 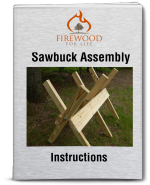 It's so easy when you get back from a long day of hiking or fishing to just grab a pre made packet from the cooler and place it on the fire. You will be eating in no time!